Manama: Saudi Deputy Crown Prince Mohammad Bin Salman said women, who represented half of the country’s population, should have all their rights granted by Islam. 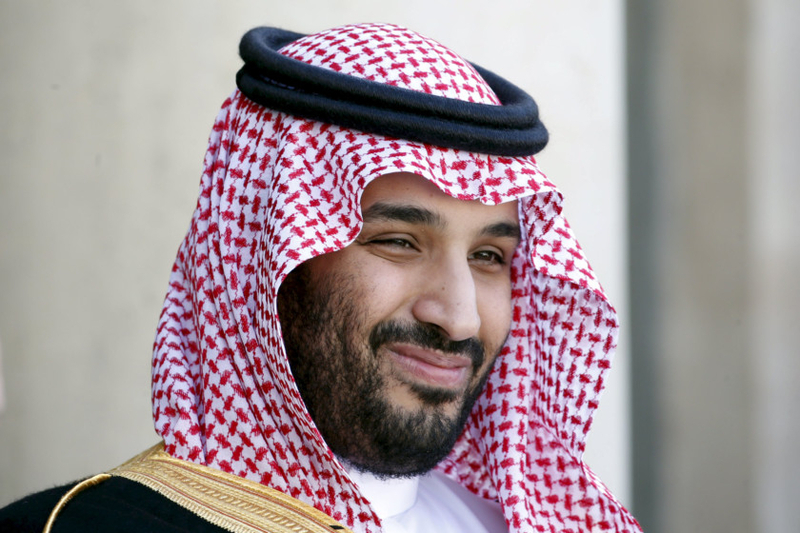 “We believe women have rights in Islam that they have yet to obtain,” the crown prince told Bloomberg in an interview on Thursday. One major obstacle is tackling the attitudes and changing the mindsets of people who “distort the facts of the religious establishment so that women do not get their complete rights granted them by Islam”. Aware of the complex and intricate situations dominating perspectives and issues in the conservative Saudi society, Prince Mohammad in an earlier interview insisted on the significance of time as a crucial factor in changing long-standing views and mindsets. “I just want to remind the world that American women had to wait long to get their right to vote. So, we need time. We look at citizens in general and women are half of this society and we want it to be a productive half,” he said in an interview last month. According to the Bloomberg report, a former senior US military officer who recently met Prince Mohammad said the royal told him he was ready to let women drive but was waiting for the right moment to confront the conservative religious establishment. “He said, ‘If women were allowed to ride camels [in the time of Prophet Mohammad (PBUH)], perhaps we should let them drive cars, the modern-day camels’. ” the former officer was quoted as saying. The issue of giving more rights to women, including the right to drive, has dominated social and online debates in Saudi Arabia. The political empowerment of women received a great boost when former King Abdullah appointed 30 women to the Shura Council in 2013. The powers were consolidated with the election this year of 20 women to the municipal councils. The elections were a breakthrough as women were allowed for the first time to cast ballots and run as candidates. In the battle for the possibility for women to drive, all types of social, political, economic and religious arguments have been used by the camps supporting and opposing women taking to the roads. A report that the Shura Council finally approved the right of women to drive was denied late on Thursday by a spokesperson who said the allegations widely circulated online about allowing women to drive were not facts. The reports posted on social media alleged that the Shura Council responded positively to calls to allow women to drive and travel using their cars. The reports alleged that Council Speaker Abdullah Bin Mohammad Al Shaikh said that upon directives from the Custodian of the Two Holy Mosques King Salman Bin Abdul Aziz, the Shura issued a decision to allow Saudi women to drive privately owned cars in Saudi Arabia and without any conditions. According to the report, Al Shaikh said that all members of the council approved the decision and that it would be applied starting on May 8. However, women could apply for licences starting this week, the report claimed.